Another offshore attack. Just let us bet. It really is hard to know where to start with this one. We know Patrick Smith isn’t the sharpest tool in the shed, but does he really believe that any bookmaker not licensed by an Australian state or territory represents “an unprecedented menace to all sport”? The article is obviously prompted by Racing Victoria’s decision to make it “an offence for any licensed and registered person to bet on Victorian racing with betting agencies not approved by Racing Victoria”. Good luck with that one. Most trainers and jockeys are smart enough not bet in their own name – why would they open a Citibet account in their own name? Interestingly, Dillon appears to be batting for the bookies in pushing for the in-play ban to be removed (it all but has been of course, with William Hill and Bet365 allowing it) as “the best way to counter the use of offshore illegal betting”. We’ve got news for you Dillon. A good way to stop punters going offshore is to get bookies here to take a bet. You can start with your official wagering partner Crownbet who frequently deny $25 bets to winning customers. Wonder why they go offshore when winning punters aren’t discriminated against at the likes of Pinnacle Sports with $10,000+ limits. Not to mention the revenue you are missing out on when your wagering partner only wants to accept bets from losing punters. If sporting bodies like the AFL wanted to do something for “integrity” they would be pushing for a fair minimum bet rule in sport. It would surely be easier to enforce than in racing where multiple punters bet at the same time. Back to today’s article. How could Smith add more credibility to the piece? Go the to Victoria Police for a quote. That’s right the same police force that is so knowledgeable about betting that they charged a score-dispensing courtsider with “conduct that would corrupt a betting outcome”. “Because they operate outside of the law, they are able to appear more competitive”.. I assume he means the law (as he sees it) in Victoria and not the law where the bookmaker is registered? Enough with all the misinformation. Just let winning punters get a fair bet on. Revenue to sporting bodies will increase and integrity concerns from money going offshore will be dramatically reduced. as to the bona fides of your betting account. g. Certified copies of documents evidencing your current income e.g. i. Details of the mobile phone numbers used to operate your account. Mixed success. That’s how you could describe our campaign to get bookies to take a racing bet from winning punters. While some have reported a positive experience, it’s all too evident that many Australian bookmakers continue to thumb their nose at Racing NSW’s Minimum Bet rule. This is particularly the case with so-called “indicative pricing” where by winning punters are offered a lower price than that served up on a platter to losing punters. Ka-ching! With the 2015 kick-off of the biggest game in the land – the AFL – it’s time to turn a little attention to sport. Readers will no doubt be familiar with all the “betting scandals” that have enveloped the game of Aussie Rules over the summer. The latest involved Collingwood’s Jack Crisp placing bets on an AFL market totaling, wait for it – $129. At the same time, the AFL announced it had sacked a scoring official for the year after permitting 62 bets totaling $362 be placed using his account. Yes, the average bet was $6. Sacked! Rule breaches they were, but announced from the rooftops in the name of INTEGRITY. How heroic. Here’s what the AFL can do about integrity – force their wagering partners to take a bet from winning punters. The AFL have revenue and information sharing agreements with most if not all Australian-licensed bookmakers. The AFL take a share of revenue generated from betting on the game and bookmakers sift through their records to match names and report any anomalies to the AFL Integrity Unit. We also know that winning clients are severely restricted to amounts that are hardly even worth the trouble of logging in at just about each and every Australian-licensed bookie. The same punters are exposed to tweets like this from Pinnacle Sports.com (licensed in Curacao (a Dutch island in the southern Caribbean sea) and Malta). Here is what a winning punter can get on at the line with Sportsbet on Monday’s Hawthorn v Geelong match. And here is what PinnacleSports.com will bet the same winning punter. The AFL kiss goodbye to the revenue and have no idea who is betting. That is where you lose INTEGRITY – not from $6 bets. Force your partner bookmakers to bet punters a reasonable amount and they don’t need to head offshore. Another scenario. Say I’m a dopey insider at an AFL club after a quick buck. I’ve got news that the three best players are out for the weekend. It’s Thursday afternoon and I’m about to beat the massive line move by placing a few bets at Pinnacle. He could most probably get three bets on – up to $40,000 – before a significant line move. You think Pinnacle Sports will be divulging the name of the punter who sparked a plunge to the AFL? Players and officials, you know where to bet. Australians individually lose, on average, $1,600 a year gambling – the most in the world. Because of this, a few years back, the big gambling houses of Europe set their sights on Australia and $1 billion surged in from offshore. The tide is quickly receding and that investment is souring. William Hill grabbed Sportingbet, Centrebet, and Tom Waterhouse for a cool $710 million. Paddy Power swallowed Sportsbet and IasBet for $235 million. Ladbrokes strangely bought bookmaker.com.au and Betstar for a combined $40 million. Add in Unibet buying Betchoice for $20 million, and Bet365 setting up from scratch and bleeding $76 million in their first two years of operation, and there’s your billion dollar bet. Where these CEO’s and their boards erred, was assuming that they would enjoy UK style regulatory protectionism, and be able to conduct their business’ in the same rapacious way they do back home. Interestingly, their conduct back home has finally come to bear, and all the major UK bookmakers have acknowledged an outraged UK community and signed a Code of Conduct. European Big Gambling also underestimated how established the Aussie market was. Very few new punters are coming to the game, and most had already found a home with Sportingbet, Sportsbet or Tabcorp. So for Ladbrokes and Bet365, customer acquisition is very, very expensive. And the customer base that William Hill and Paddy Power bought, came at significant expense. This has left them all in a costly race to the bottom to attract new clients. Paddy Power, who reported a solid annual profit of just over $50 million for their Aussie arm, Sportsbet, is the only UK company to achieve acceptable results so far. 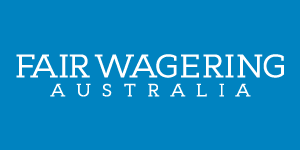 However, they have a lot of work in front of them to stay as the most recognised brand in Australian wagering (a title which Tabcorp have ceded) and repay the $235 million invested to gain that position. William Hill has the most daunting task. For the original team who started Sportingbet Australia, William Hill swooping at the top of the market must remind them of Alan Bond at his best. Sportsbet’s $50 million annual profit is the benchmark for the industry – there’s a lot of $50 million’s in $710 million. Now, Tom Waterhouse – who has just been appointed CEO of William Hill Australia at the age of 32 – is burdened with clawing back the $710 million that London head office decided was a good bet to have on the Aussie market. It’s speculated there has already been an internal revaluation of William Hill’s Australian operation – written down to $320 million. Ouch! From the mid 90’s, Australian wagering became the Wild West. Fractured administration and regulation led to disgruntled corporate bookmakers seeking, and finding, a complicit regulator in the Northern Territory – which allowed them to write their own rules. This was to the deep detriment of the racing industry and the community. Now the industry and community has caught up with them, and corporate bookies will be allowed to continue operating their businesses in the manner they’ve chosen – but they’re gunna pay for it. And more importantly, they will be made to treat punters fairly. Racing Victoria and Racing Queensland completely blind sided the bookies when they nearly doubled their product fees and introduced a new turnover tax regime of between 2 and 3.5%, depending on the status of the race meeting – premier meetings like the Melbourne Cup attract the maximum turnover tax applicable in Victoria of 3%. This makes the bookies already incredibly tight business models close to untenable. Racing NSW, after persistent complaints from the industry, took the noble step of introducing minimum bet limits and ethical standards on corporate bookmakers betting on NSW racing. They did this by citing the Federal Court’s 2011 decision that Racing NSW are entitled to administer their product any way they see fit. Of the six biggest bookies in Australia, Sportsbet and Bet365 have adhered to Racing NSW’s new rules. Tabcorp, William Hill, Ladbrokes and Unibet are ignoring them and refuse to allow punters an opportunity to win. If need be, I hope Racing NSW stare them down all the way back to the Federal Court. All the while, the bookies have been desperately lobbying the Abbott government to amend legislation and allow in-play betting on the internet. In-play betting has produced rivers of gold for Big Gambling in Europe. The untapped Aussie in-play market was a major factor why the Europeans payed massively over the odds for established Australian corporate bookies. This change doesn’t look to be on the horizon and it’s implementation would have questionable benefits anyway. All theses factors add up to the stark reality that the European bookies, with the exception of Paddy Power, will never recoup their initial investments.